Hello there friends, long time no post. Let's start today with a debate. That's right. Canned or fresh cranberry sauce on your Thanksgiving table? Honestly, is this really even worth debating? I know there are sticklers out there who love their canned sauce. 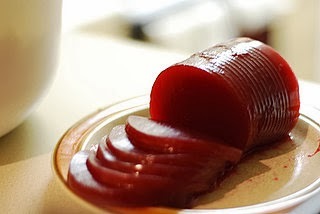 And, admittedly, I have taken a slice of the can shaped cranberry blob in Thanksgiving past. In my opinion cranberry sauce is an essential part of the Thanksgiving table. It is the tart-sweet counterpart to the savory deliciousness of turkey, stuffing, mashed potatoes and gravy. It is the key ingredient to the day after Thanksgiving leftover sandwich. So yes, I have partaken in the canned shape blob. But that was before. Before I knew how easy it was to make your own. It happened many a Thanksgiving ago in Hermosa Beach, in a house that had a stripper pole in the basement (just for fun. Don't ask.) and a ladder to the attic with a very cool guest room for us girls. We decided to have a "friend Thanksgiving" the weekend before real Thanksgiving. Lo and I brined a turkey in a cooler, the oven broke and said turkey was cooked down the street at a friend's. There were cocktails and a DJ. It was a potluck. And I made cranberry sauce even though I had no idea what the heck I was doing. It was hands down the best tasting Thanksgiving meal I've ever had. I still remember the carrots in brown sugar and butter. The original Hermosa Beach Cranberry Sauce recipe has evolved, along with my cooking skills, into this recipe. The best part is, it's easy! Even better - you can make it a few days in advance of Thanksgiving. If there are leftovers (if! ), it is great spread over toast with goat cheese. So, can shaped cranberry blob or the real deal? P.S. Mandarin's are in season! My mom picked mine up at the Mandarin Festival. 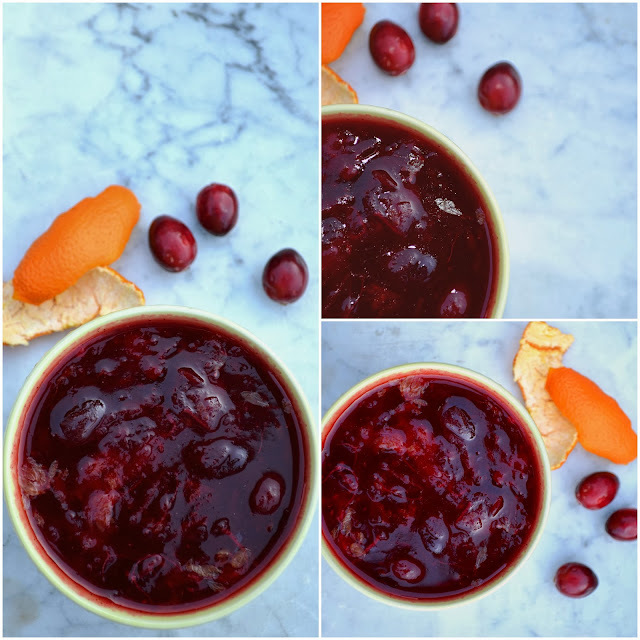 Add cranberries, mandarins, water and pomegranate juice to a large saucepan or pot. Bring to a boil, then reduce to medium high heat. Simmer until cranberries begin to pop open. Add sugars, ginger, honey and cinnamon, stir frequently and continue cooking until well blended. Transfer to a sealed container and keep overnight in fridge before serving. 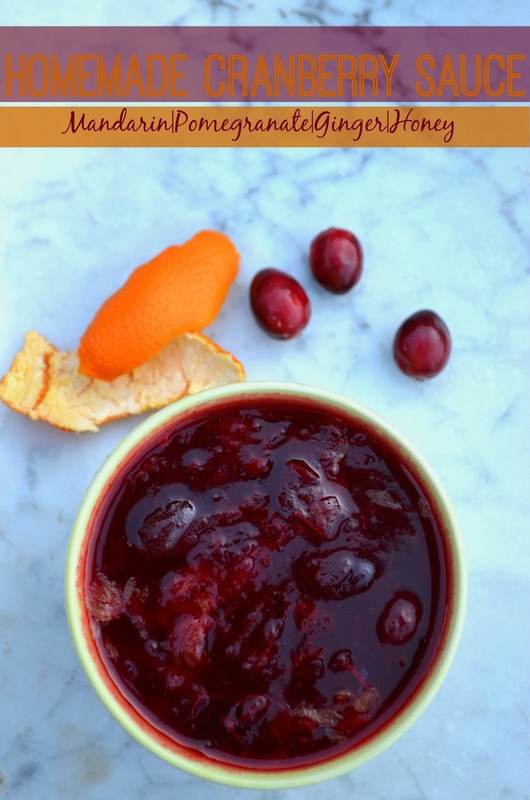 You can prepare the cranberry sauce 2-3 days in advance. .....giant hovering roundabout for cyclists in the Netherlands. This looks so fun! 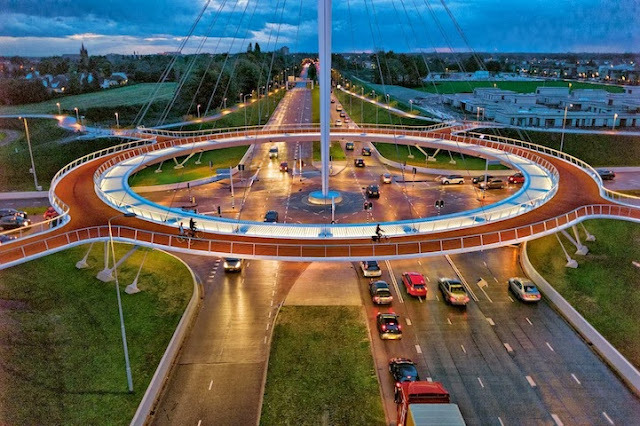 I wonder what this cyclist, who draws images with his routes, would make with that ↑ roundabout? 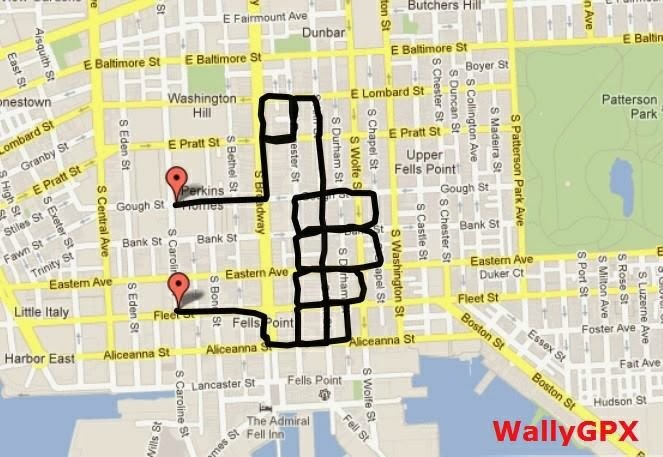 Speaking of maps, are you planning to ride in San Francisco soon? Check out this sweet SF bike map that is easy to read and understand (via JustAnotherCyclist). Last, I feel I should mention that I'm aware the last few weeks I've only been bringing Cool Thing Friday posts. I'm sorry friends. I have lots of content to share! In the next couple of weeks I intend to take you to the beach, make you a whiskey cocktail and show you my latest crafty project (which may require that whiskey be drunk first!) and lots of other good things!! Cool Thing Friday - It's a LIST! My husband, the State employee, gets a 3 day weekend. I, do not. Bummski. It's OK though, because I have a whole list of cool things to share this happy Friday. 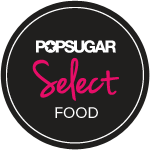 In October A Cup of Jo asked food bloggers what they eat for dinner when they're alone. My go to is typically eggs, which is kind of a perfect food if you think about it. Poached on greens? Fancy and delish. Scrambled with cheese in a tortilla, add salsa? 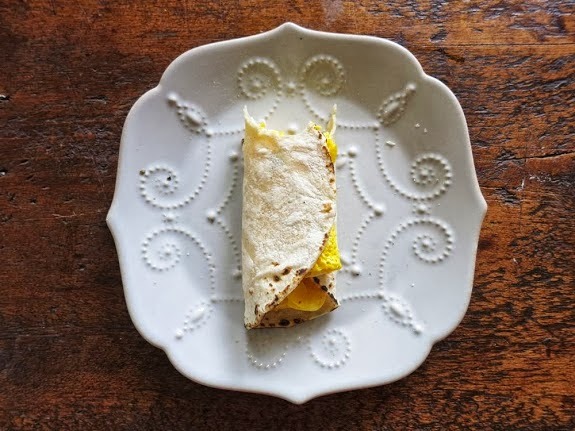 I mean eggs + cheese + tortilla?! Bring it! Poached on toast with butter? Even better. 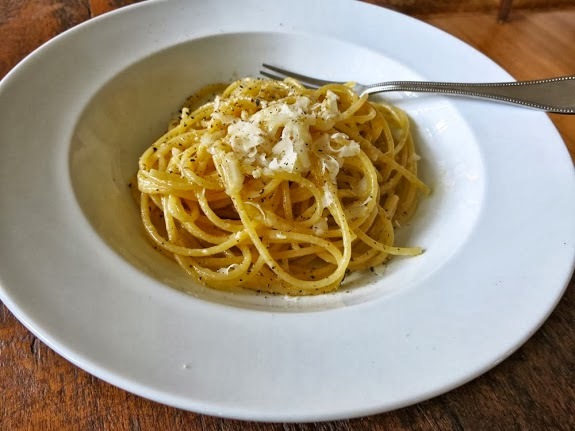 But this Cacio e Pepe must be tried by me soon.....and of course the Apple Hand Pies (you know I love me some Salted Caramel!). This study, that claims to link past and depression is NOT COOL. Seriously, a delicious bowl of hot pasta will make me happy any day of the week. I call bogus. Remember the awesomeness of the 80's? Well I do. And it was awesome. What is most awesome in the photo above is of curse the radical girls up front. But don't miss the sweet moustached, mulleted, running shorts, sunglassesonhisshirt guy right behind. And best of all? They are in front of TAPE WORLD. I want to go to Tape World. 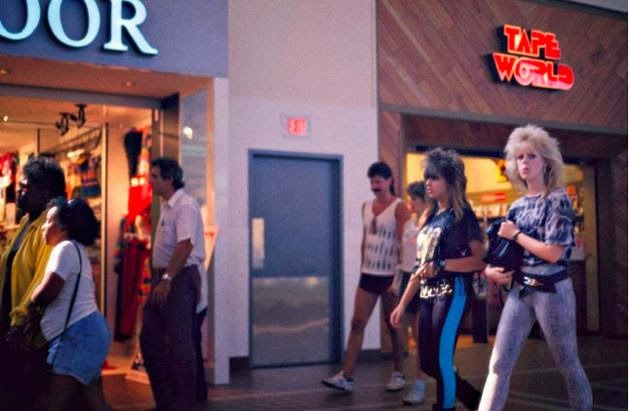 This slideshow of Malls in the 80's is wicked. Speaking of awesomeness, does anyone want to buy a table? Last, but certainly not least, even more reasons to love Jennifer Lawrence. I'm starting to feel like we are getting settled in our new place. There has been a lot of cooking happening, but the time change is screwing with my photography. Blerg. I just discovered Ally's blog and I love the fact that she is local (Sactown!). I made this on a weeknight, just like the recipe says and it was SO tasty. Nick kept saying it was "on time" and in my head I was envisioning "on thyme" since there is tasty thyme in this recipe. I'm a word nerd, I know. The Scoop - A savory dish with lots of flavor, file under comfort food. Easy enough to make after work. I made a side of roasted red potatoes with rosemary. The Verdict - On Thyme! But seriously, a really tasty dish that I will make again. Would also be good for a small dinner party. Presents well in the skillet. The Fix - There is no fix for this recipe. It's just plain good as it is. Mentionables - Along with being tasty another thing I liked about this recipe is that it uses boneless skinless chicken thighs. I used to be afraid of chicken thighs but I've been using them more often lately. They are inexpensive (even organic) and have a lot of flavor. Bev is funny and she makes good stuff. 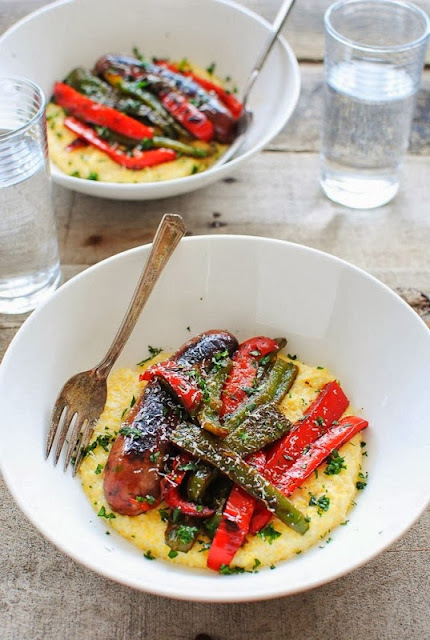 Being an Italian girl and lover of polenta this dish caught my eye. It was another goodie made after work (I like those meals!) and was super tasty. I made it just before Spring so now that we are back in the Fallzone (is that a thing?) this is sure to be served in our house again soon. The Scoop - Comfort food for sure. Super tasty and creamy and easily made with stuff you probably always have in your cupboard and fridge. The Verdict - I certainly plan on making this again! It could also be a nice side dish for a large party. The Fix - There is no real fix. When I made it I happened to have some left over half and half so I used a cup of that and a cup of milk (original recipe calls for 2 cups of milk). The half and half probably made it a bit creamier, but also made it that much more caloric. I only used it so not to waste it. I also used all red and orange or yellow peppers, I typically don't buy green. And if memory serves I used parsley in place of cilantro. Mentionables - As I said, you probably have all of the ingredients for this in your fridge. This is a great recipe because it can be changed up here and there and still tastes great. We are forever on a Quest for the Perfect Pancake. These are certainly near perfect. 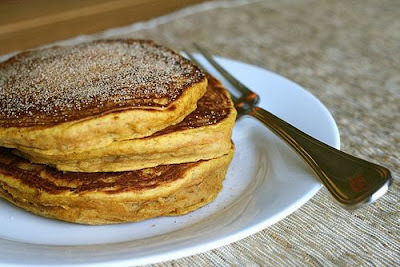 I first made them a long time ago and then made them again just last weekend because I had leftover pumpkin puree. The flavor is delicious and the consistency of the pancakes is nice - not too dense. The Scoop - A near perfect Fall pancake liked by kids and adults. The Verdict - Well, I've made them twice so I'm sure I'll make them again! The Fix - No fixing here. I left out the ground ginger and ground cloves because for whatever reason I didn't have those spices in my cupboard (fail). That said, I think adding them would a but of punch to the cake which would be tasty. I used coconut oil instead of vegetable oil. Coconut oil is my go to oil for breakfast and dessert recipes that call for oil of any kind. Mentionables - We had some left over so I brought them to work Monday and popped them in the toaster and filled the office with yummy pumpkiny aroma. I spread a bit of plain cream cheese on them and it was a nice treat. Well friends, that is it! 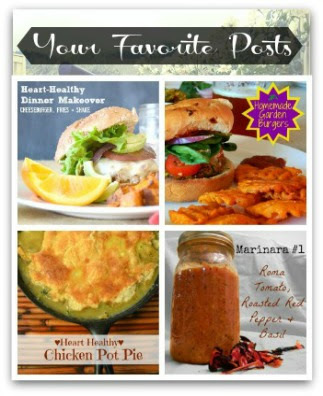 I hope you try some of these recipes too.